With Avengers: Infinity War coming out Friday, Sony is using the hype for Marvel's next film to promote the upcoming Spider-Man game by Insomniac. 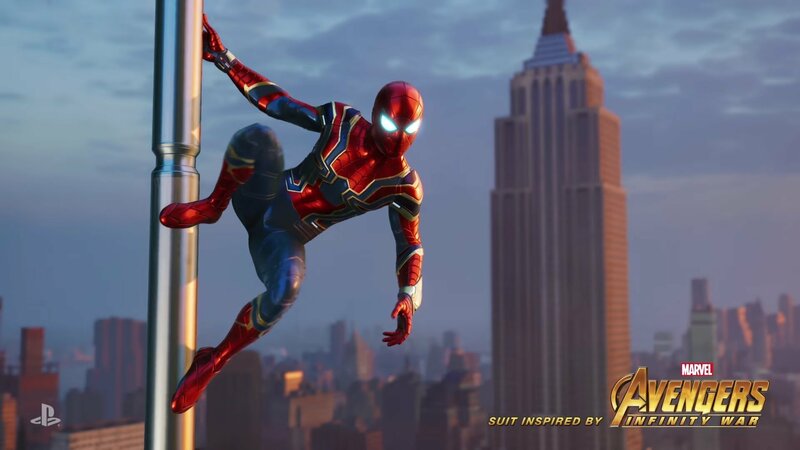 If you pre-order the game (digitally or physically), you'll receive instant access to the "Iron Spider Suit" once the game comes out. The design is inspired by Infinity War's suit, so it looks pretty neat. Along with that, there will also be a "Spidey Suit Pack" that includes things like a punk rock suit and some other assorted outfits. If that wasn't enough, you'll also receive extra in-game skill points, a Spider-Drone gadget, a PS4 theme and some custom PS4 avatars! Here are two trailers to show off the goodies! I'm not really a fan of digital bonuses like this, but at least the pre-order seems to be instant access instead of exclusive access. Hopefully regular customers will be able to unlock these suits in-game.